Bracelet contains a Buffalo Nickel, Indian Head Penny, Wheat Penny, Mercury Dime and a Roosevelt Dime. 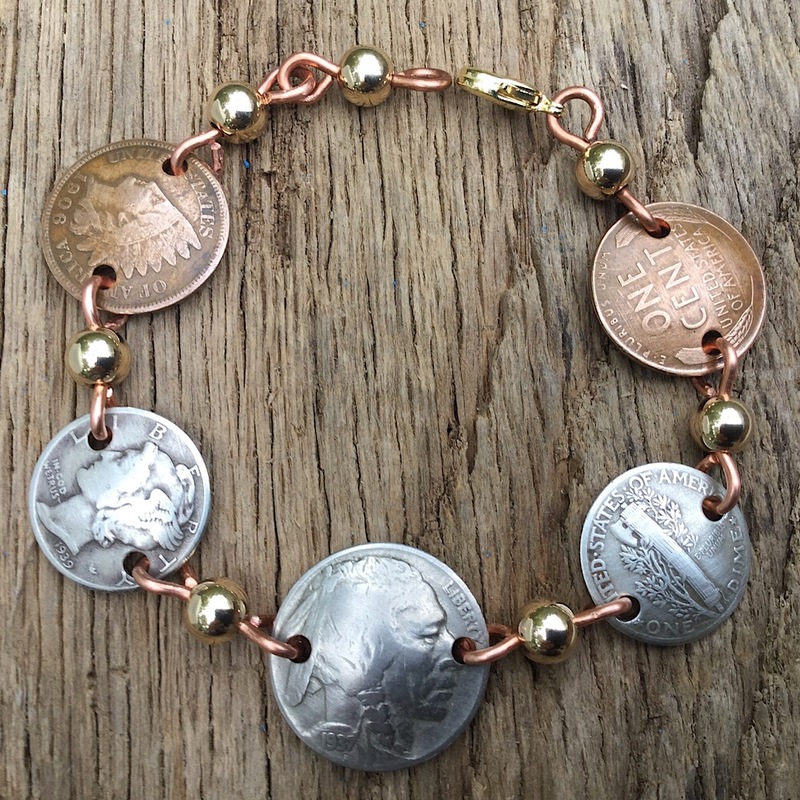 This coin jewelry bracelet can be made with your coins for $48. This handcrafted coin jewelry bracelet is made in the USA.